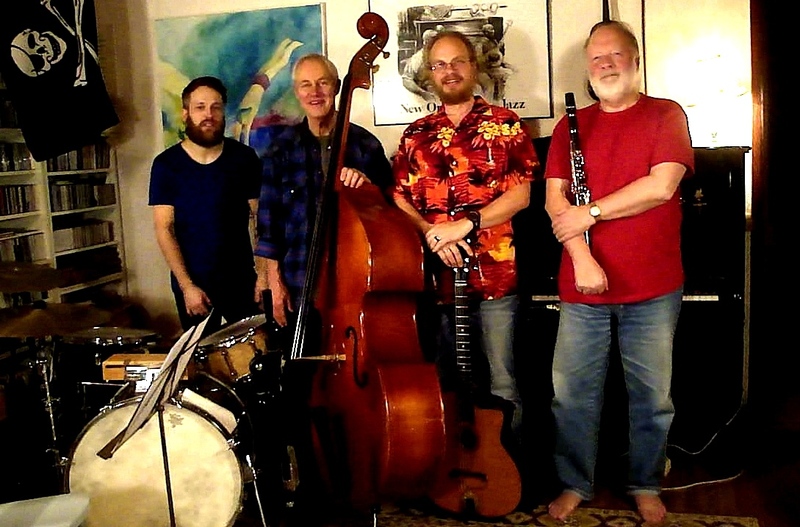 Felix Collin, drums, Leif Melldahl, bass, Mathias Gustavsson, banjo, guitar, Lasse Collin, clarinet. Here you can listen to Jazz Pirates on mp3-files (and some video clips). As you can see we have an idea of adding some new old songs for every session we play. All tunes are spontaneously executed and mostly recorded on first try. All acoustic, no amplifiers. Just some good old tunes and some beer. Click on the title of the tune and we'll play it for you (QuickTime). You'll find chords and melodies for most of the tunes in New Orleans Jambook. Click here!